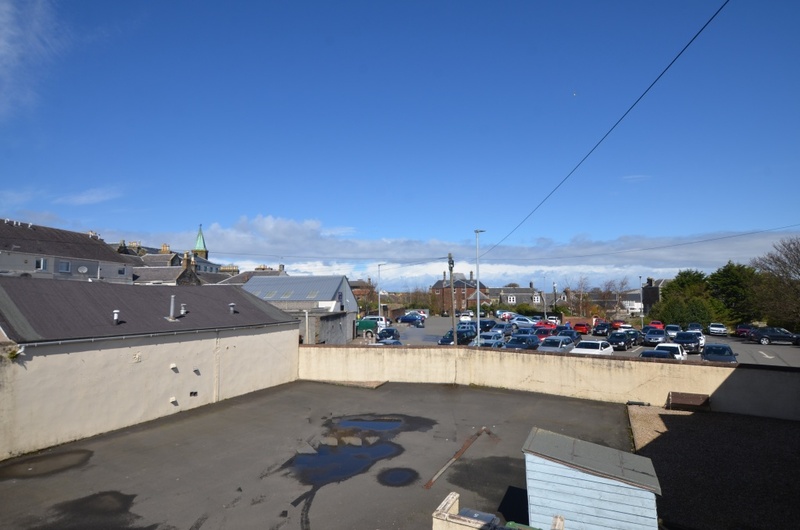 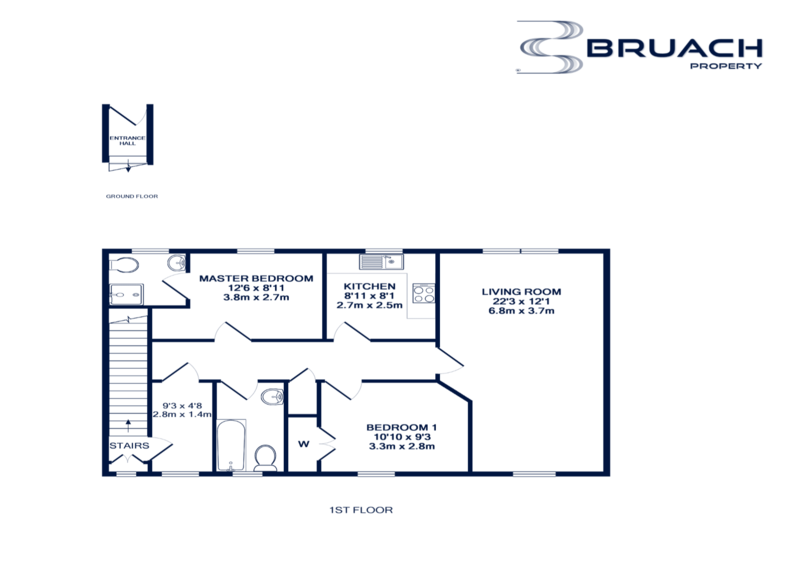 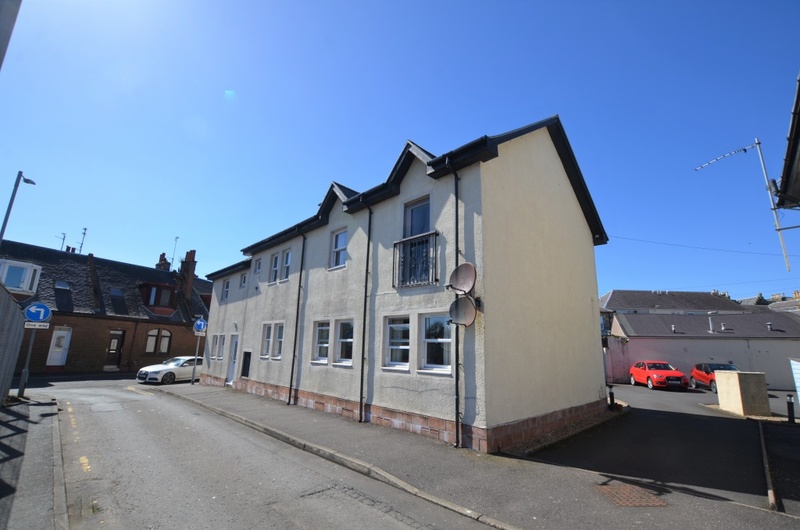 Bruach Property is delighted to offer for sale this well presented two bedroom first floor modern apartment located on Alisa Street East which enjoys a most convenient location, only a short distance from the town centre and railway station. 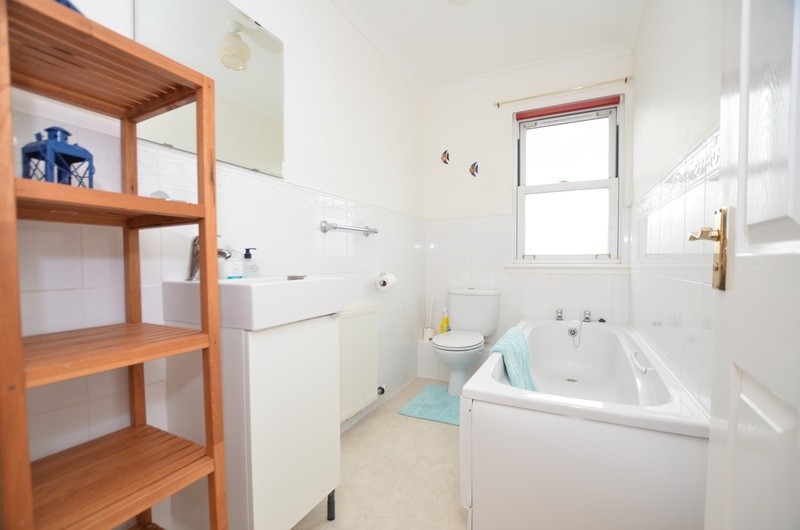 Occupying the first floor of this development this flat would suit a variety of potential purchasers, from a first time buyer to a professional couple or those clients wishing to downsize. 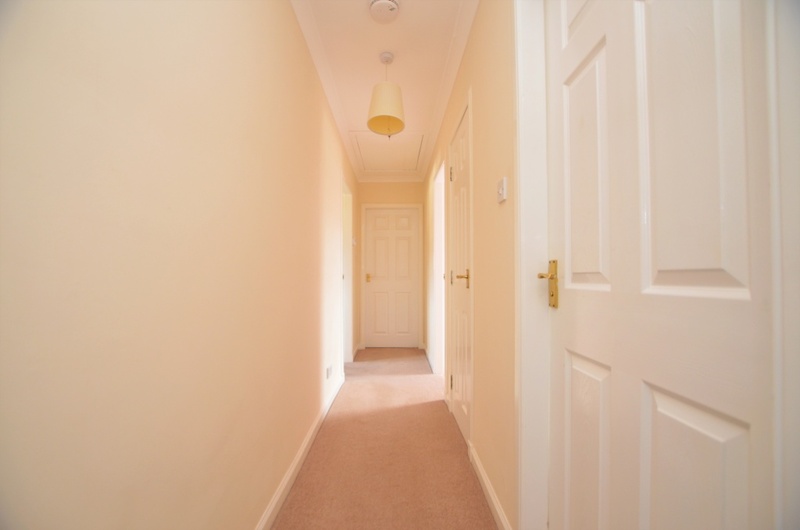 The property is accessed via a secure door on the ground floor where you will find a stair leading up to a landing which gives access to the apartment. 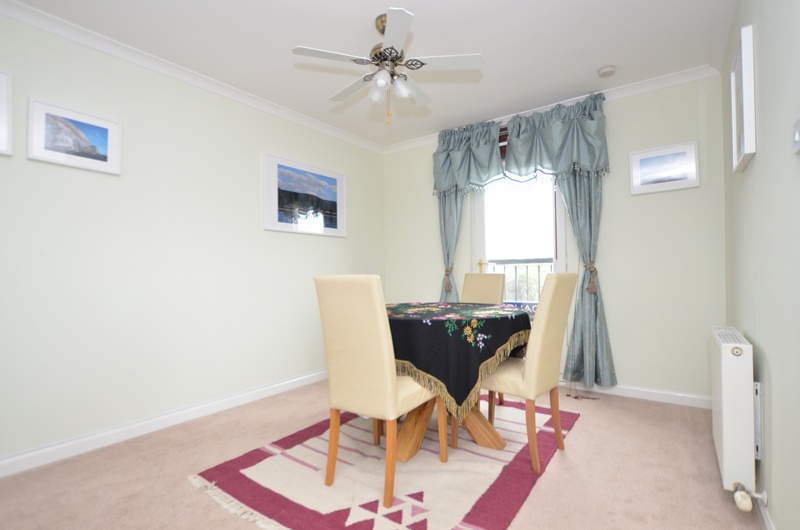 In detail the accommodation comprises of a good sized landing and hallway. 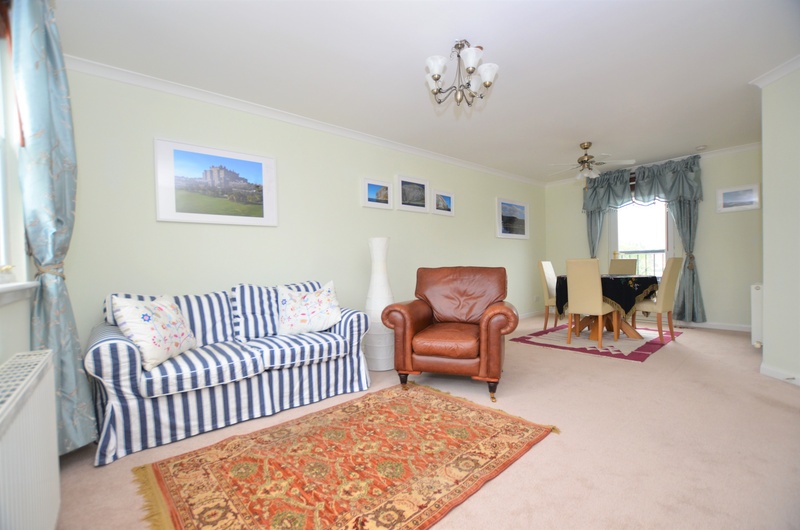 Off the hall you will find a large lounge with dining with views across Girvan. 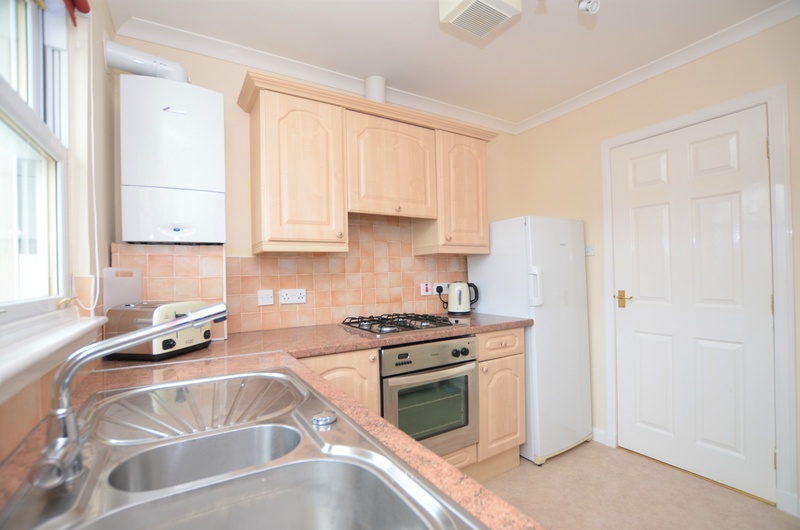 A modern kitchen is situated to the front of the property with a window overlooking the front garden and private car park , an array of base/wall mounted units with coordinating worktops over, tiled splash backs, inset stainless bowl sink, integrated appliances of stainless gas hob with separate oven. 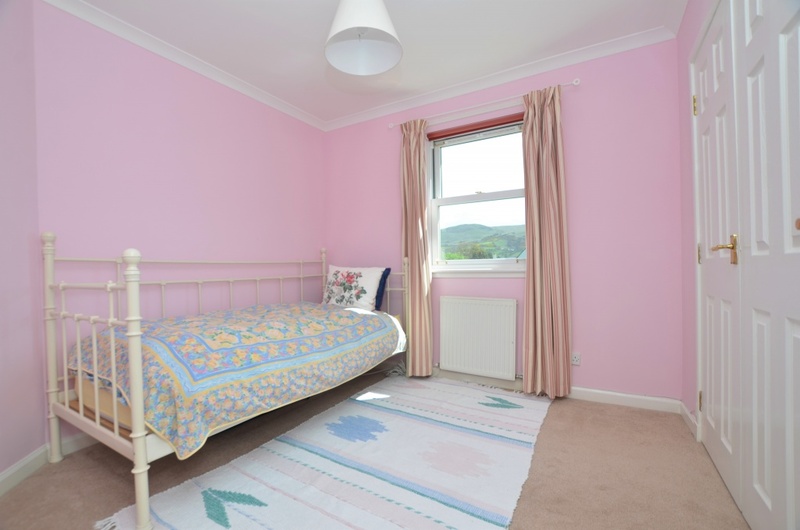 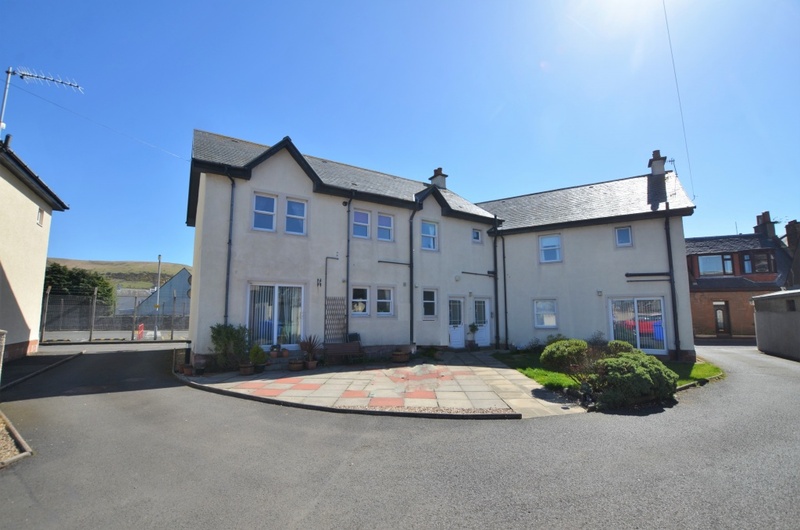 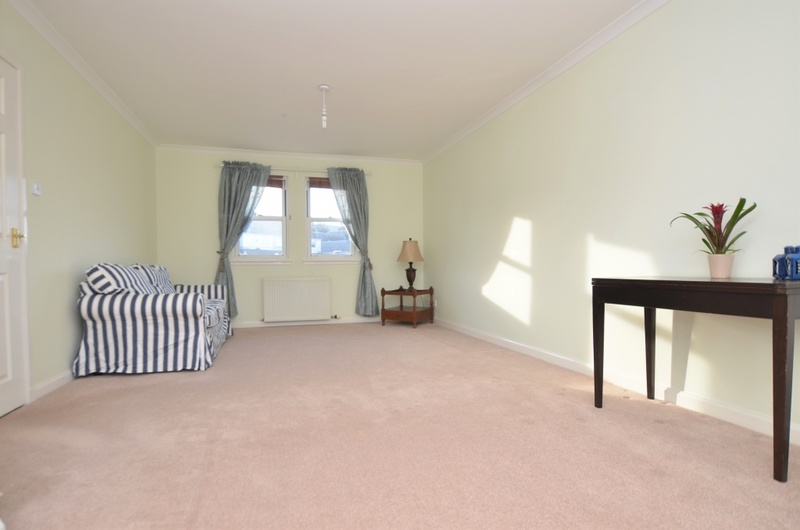 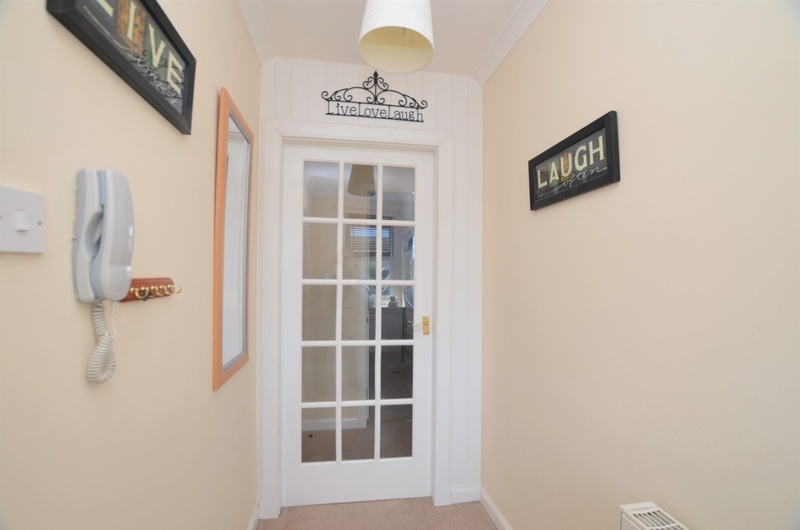 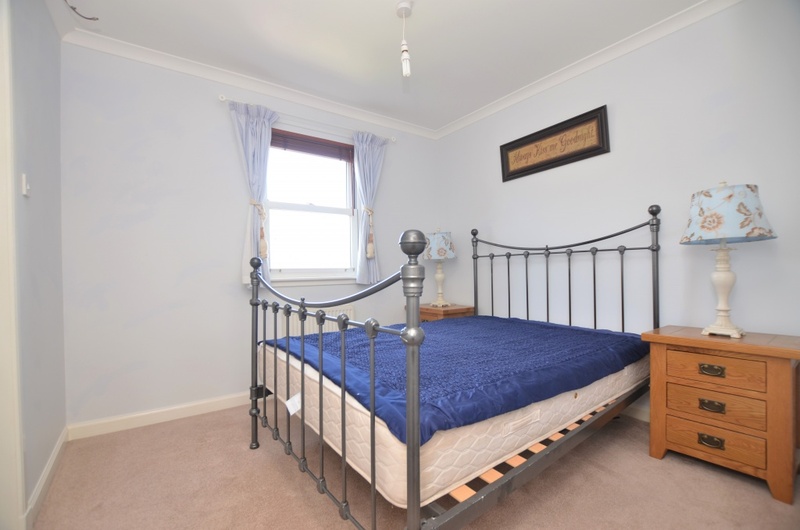 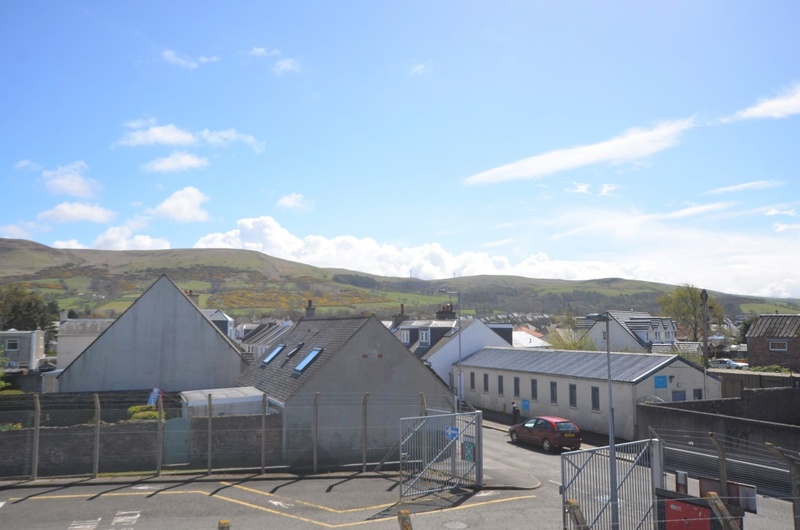 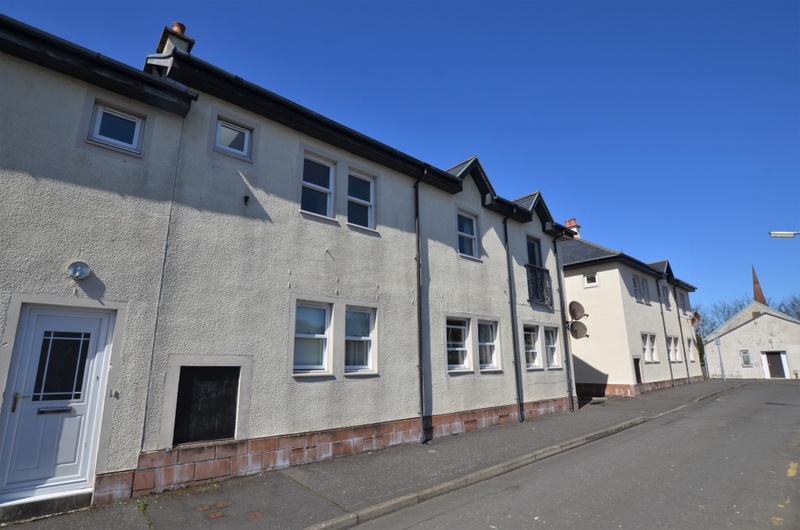 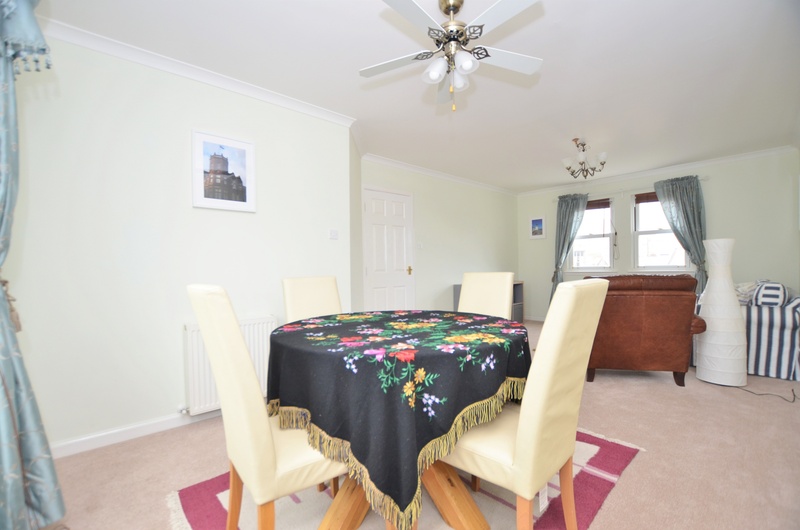 There are two generous bedrooms, bedroom one is a double bedroom with fitted wardrobe and can be found to rear with windows providing views across Girvan, the master bedroom is situated to the front of the property with en-suite shower room. 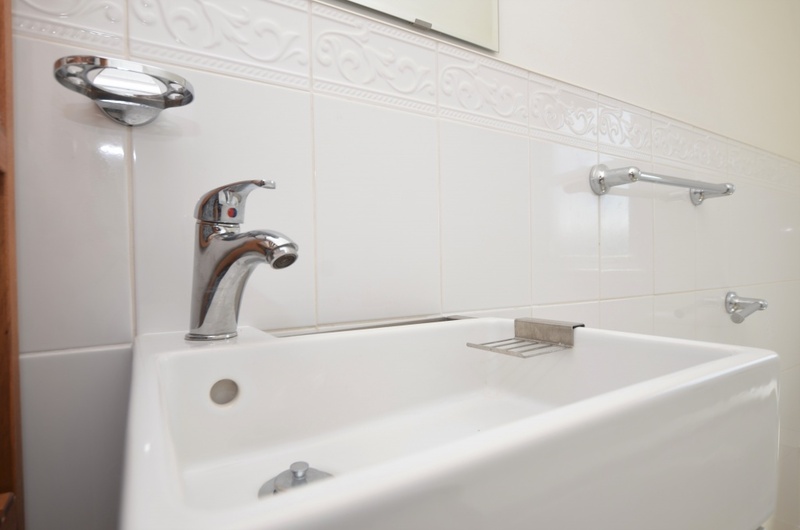 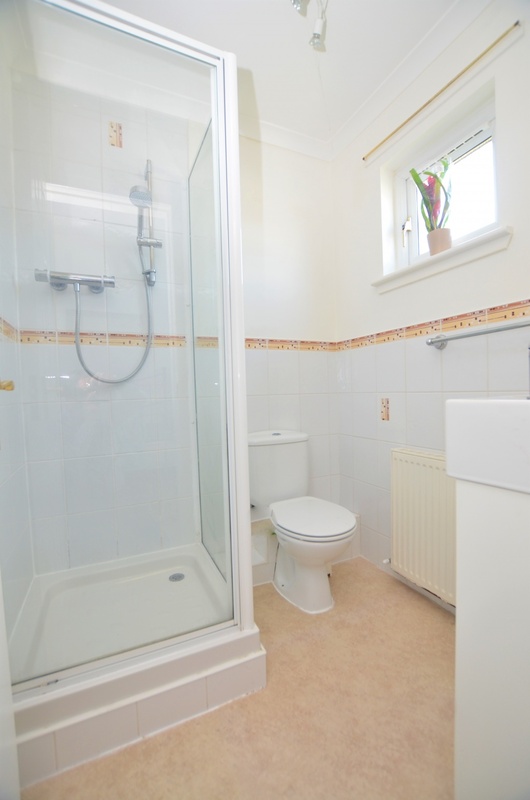 Completing the accommodation is a partly tiled three piece bathroom comprising of a bath, w.c. and sink. 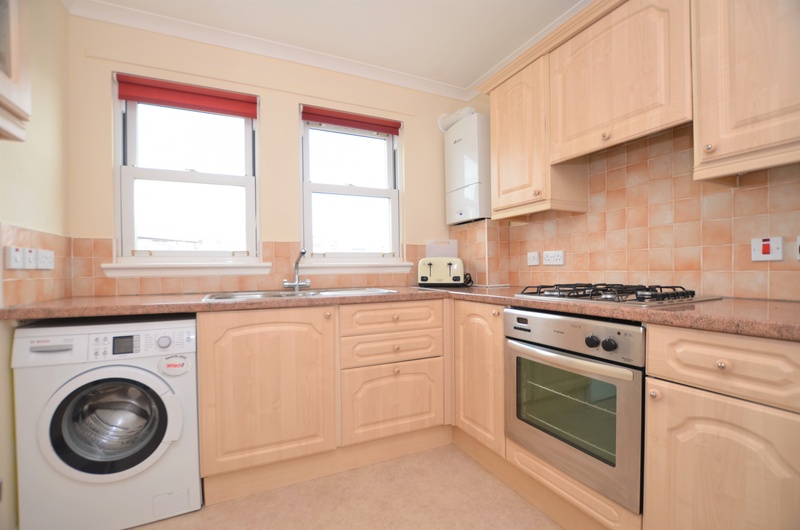 Further benefits include gas central heating, double glazing, secure entry and private off street parking.